A Pink Sequin Trilby Hat including Pink Trilby hat with sequins and a satin band detail – Ideal for a Stage Show theme, or any fancy dress occasion! 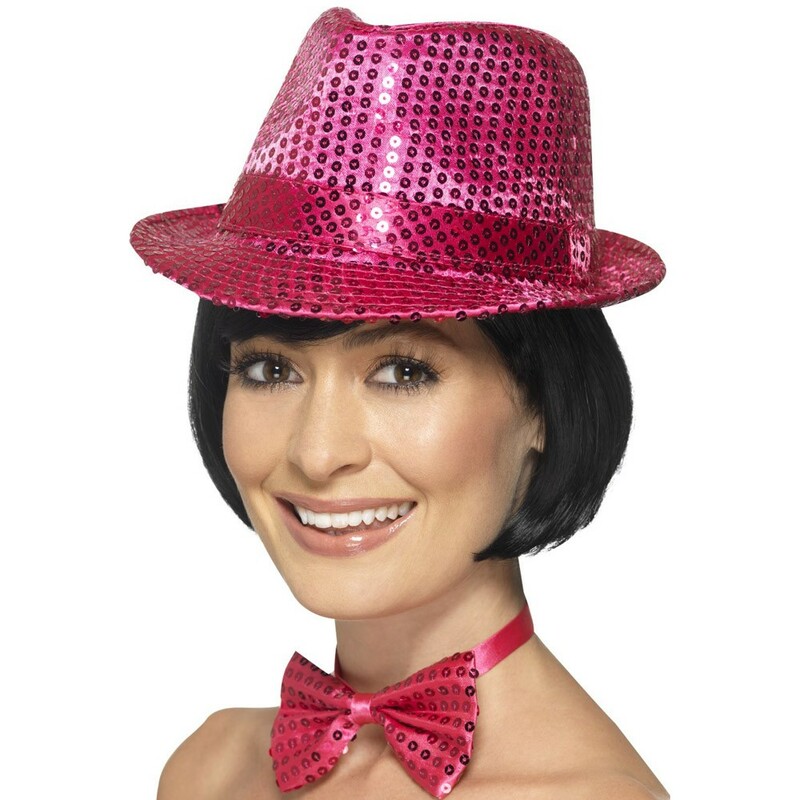 Add the perfect finishing touch to any fancy dress look with this fabulous Pink Sequin Trilby Hat. This gorgeous Pink Sequin Trilby Hat comes complete including a Pink Trilby hat matching coloured sequins and a satin band detail. If you’re looking for some razzle dazzle to add to your fancy dress look then this Pink Sequin Trilby Hat is perfect for you, featuring a traditional design, a satin band around the hat, and sequins for a glamorous look! So make sure you are show ready with this Pink Sequin Trilby Hat, whether for a Stage Show theme, Hen Party or Stag do, or any other fancy dress occasion! A Pink Sequin Trilby Hat.